I realize it has been almost a month since I posted a blog update, and so many things have occurred that it does make our heads spin. 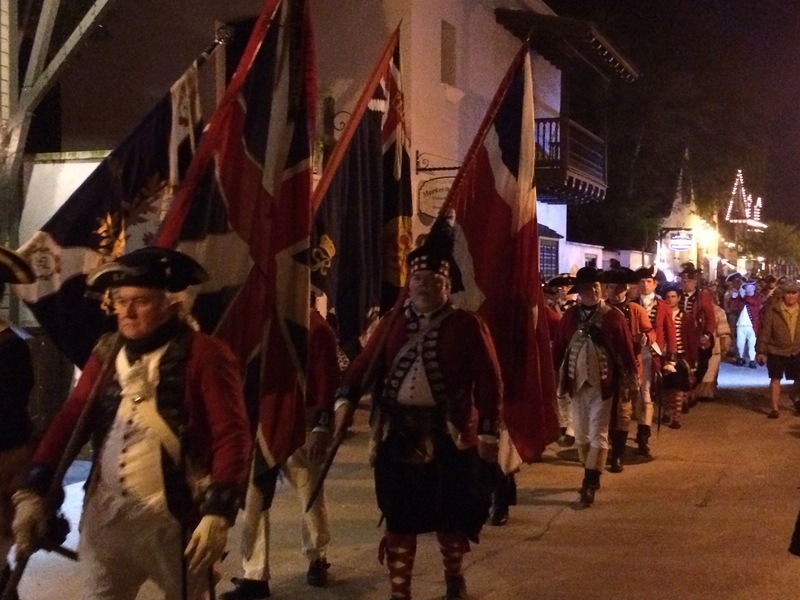 We have arrived safely into Florida, currently in St. Augustine. We have 12 more days of the rally until we celebrate the end with this amazing group of people, and Brian and I are on our own again. 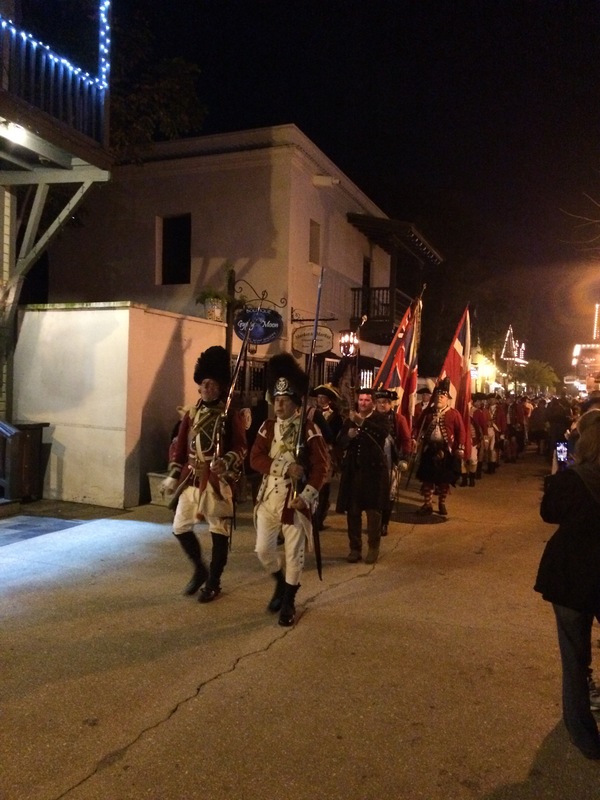 Scout arrived into St. Augustine on Thursday after a very foggy trip from Fernandina Beach. That trip was an interesting one indeed. 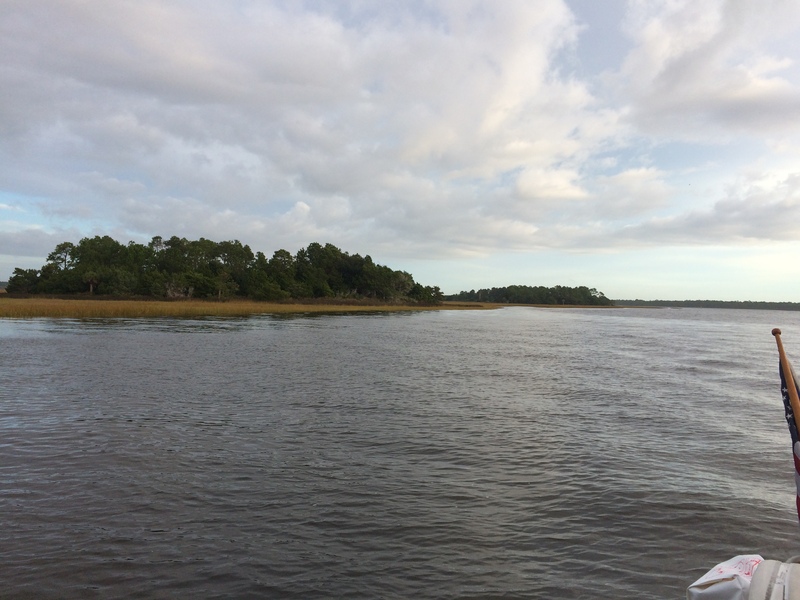 We finally were traveling with a working depth sounder (thanks to a hint from Chris in Cumberland Island while we were at anchor), and yes, we went aground! We were with 3 other boats from the rally and they were there with wakes and radio support to help us off. We were able to sail off when we put out the 170 genoa, all total 5 minutes or so were lost. As the day progressed, the 4 boats all separated for the night, some cutting the day short because of the predicted fog, and another boat and Scout kept going. The fog started coming in around 4pm. As sunset was creeping up on us, we could not see the navigational aids either before or after us. 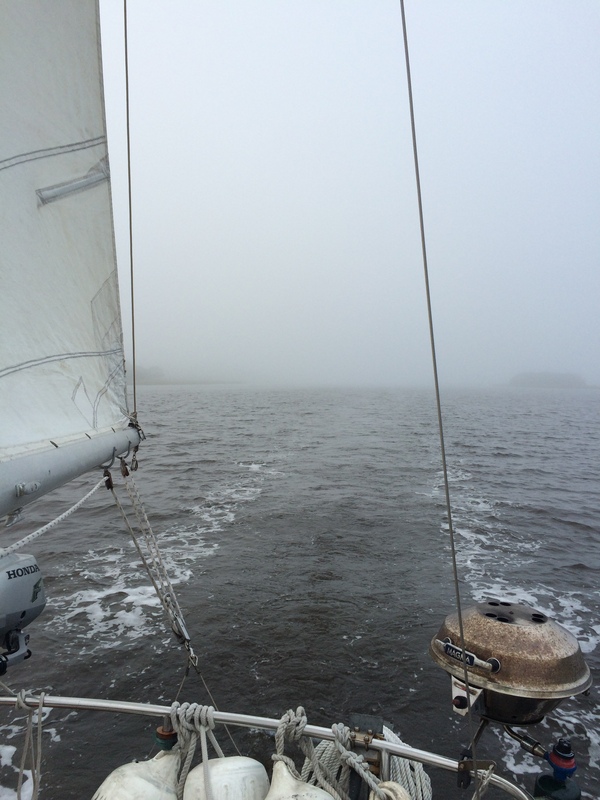 When we dropped anchor, we were lucky our Navionics charting system was accurate. Brian and I really were not sure if we were in the channel or not and we definitely could not see the shore, kind of spooky. 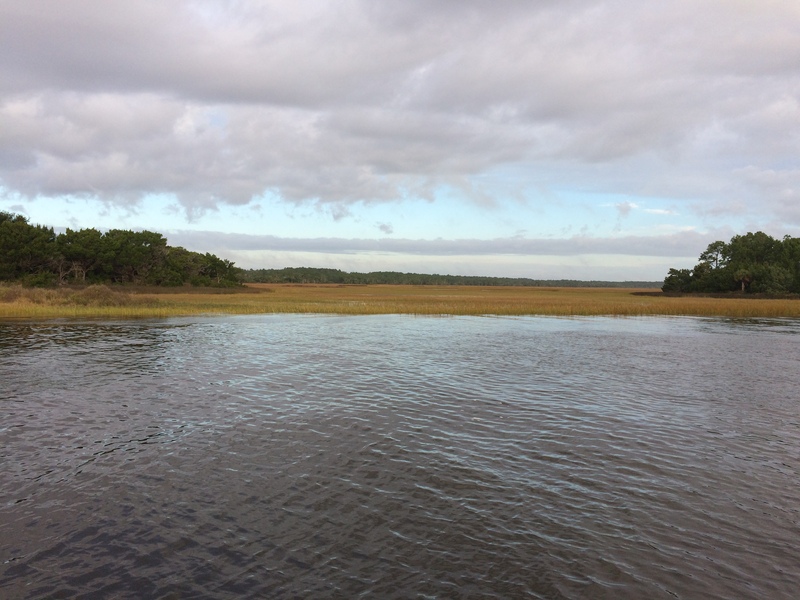 When we woke up in the morning, we were treated to a beautiful anchorage, no fog, and confirmation that we did not anchor in the channel, but in a nice little pull off called Spanish Landing. Having made it so far on Wednesday, we only had a quick trip, about 16 miles, into St. Augustine on Thursday. What a dream, the sun was out and it was warm! Brian and I finally felt we were enjoying what we dreamed of all of these months. We picked up a mooring right off the shore near the fort, gorgeous surroundings, downfall is they do set off the cannon fairly frequently. Sounds just like thunder to Phinneus, not a happy time for any of us. When you cruise, you do tend to loose track of time and date. It is hard for us to conceptualize it is Christmas time when it is 70 degrees and palm trees are everywhere. 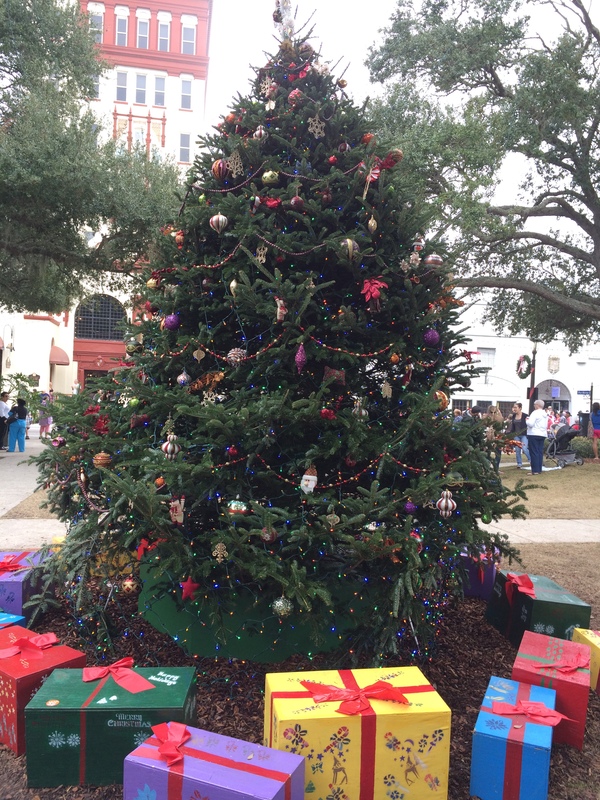 We spent a lot of time wandering St. Augustine, and Christmas is everywhere here. 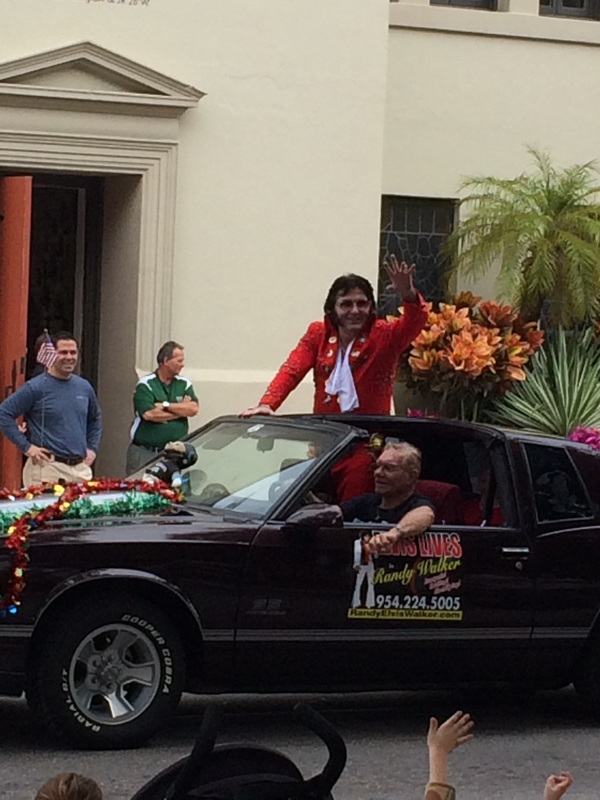 We even go to go to the holiday parade, we missed Santa though but saw Elvis! 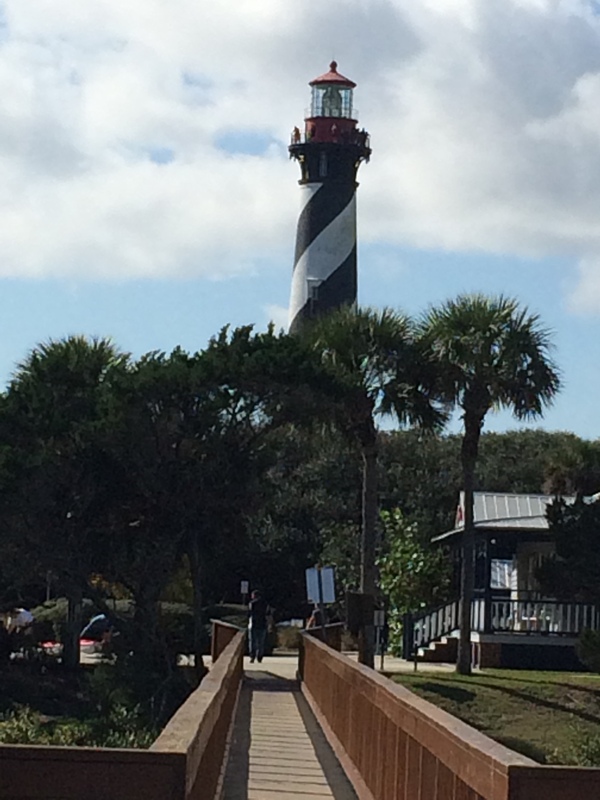 Brian and I walked to the Flagler Lighthouse to have a picnic there, gorgeous setting. 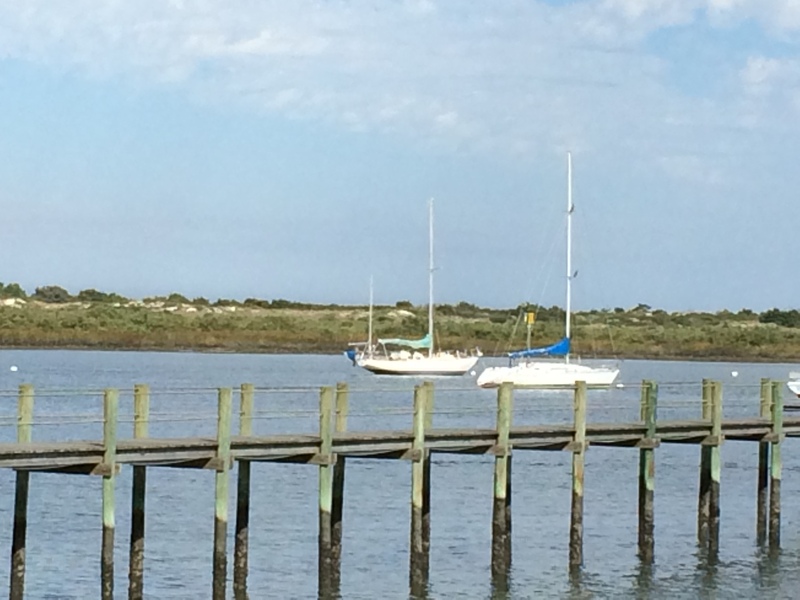 While we were sitting on the dock eating lunch, Brian possibly spotted another Pearson Invicta! It was too far away for 100% confirmation, but we took pictures and left a note at the marina and yacht club to see if someone could confirm if it is an Invicta, hope so! The boat with the green mainsail cover – could it be another Invicta? 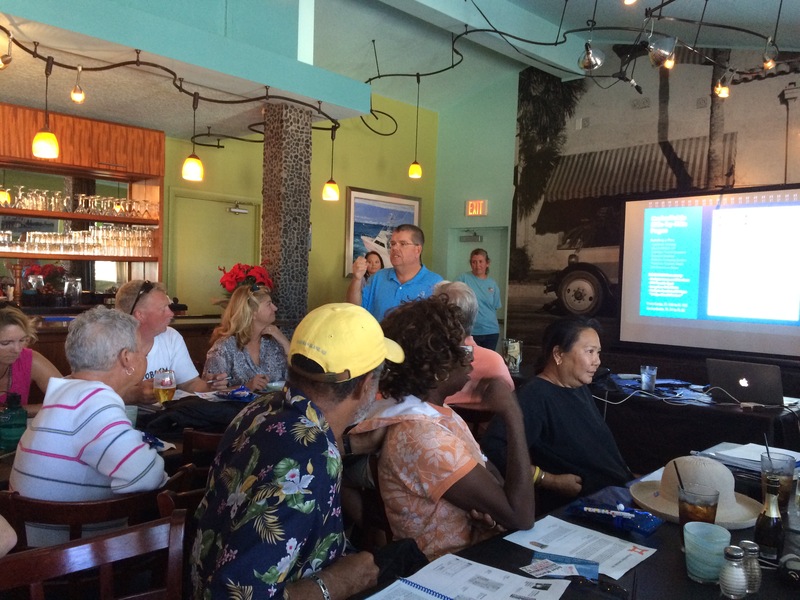 We met back up with the rally for our weekly briefing to guide us to Vero Beach. The rally is due to arrive there on Friday, 12/12. 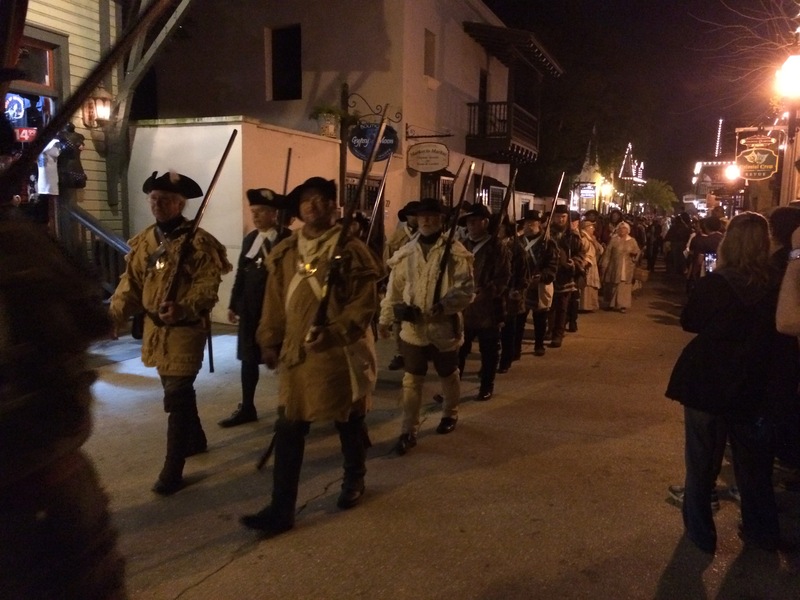 After the briefing, the adventure continued – cocktails on Silent Dream, then off to the night time parade which was a reenactment of the city being locked down for the night, then a little dancing and drinking and back to the boat before midnight! This lifestyle is exhausting! 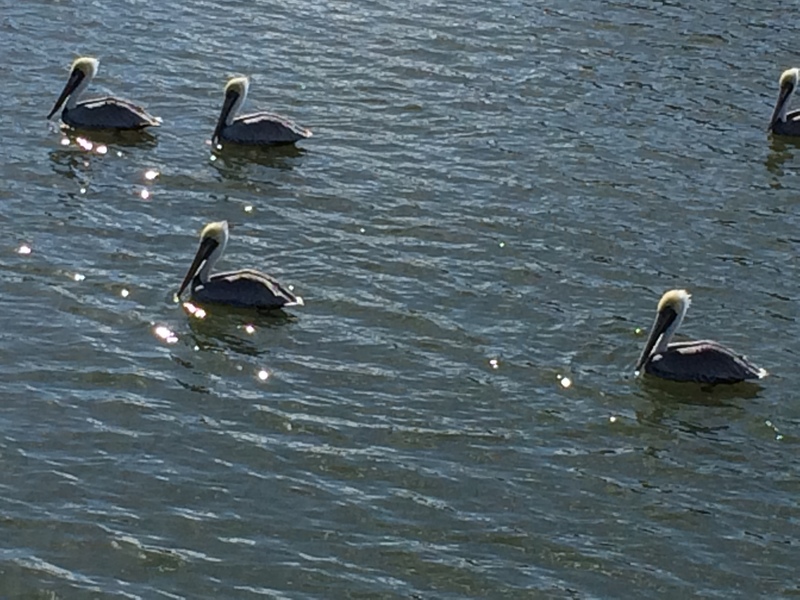 Today is our last day in St. Augustine. 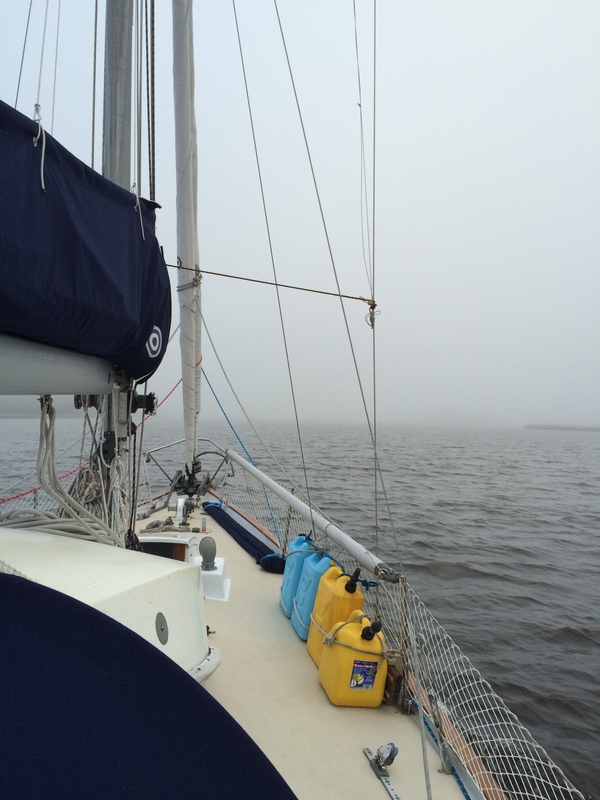 We woke up to a north wind around 20 mph which is making for a bumpy ride on our mooring. It is blowing so hard we brought the dinghy up on deck and are waiting for the launch service to pick us up for the next gala event. 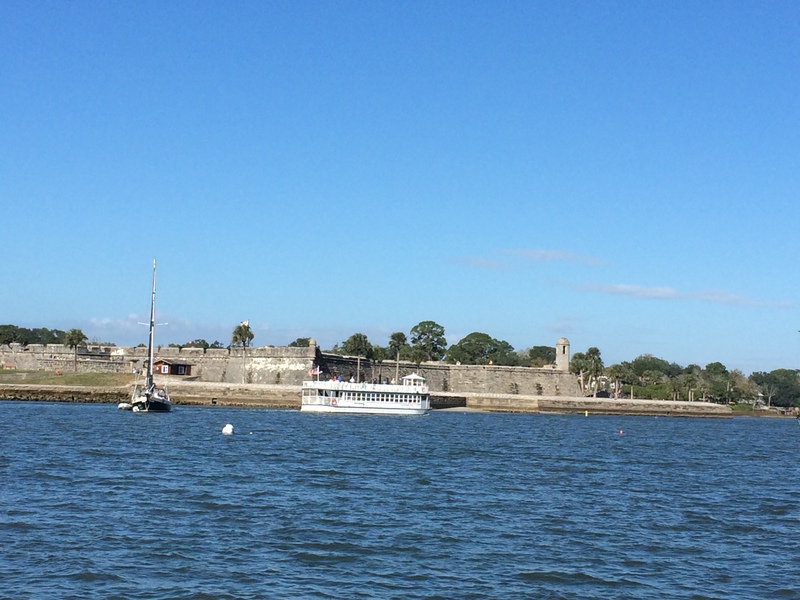 We are joining the St. Augustine Cruiser’s Net social hour at the Port of Call, we will be meeting up with about 90 other cruisers, and rumor has it, Jack Sparrow will be there to give us his version of the history of St. Augustine. Hopefully, it will be an early night.